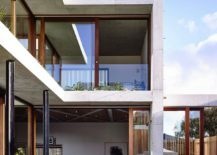 Concrete is one of those materials that gets very little praise despite the immense amount of work that it puts in. It stays concealed, in the backdrop and allows more polished and cozy surfaces to take all the credit. 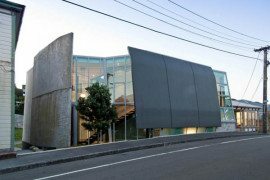 Yet, it is the backbone of every modern city. 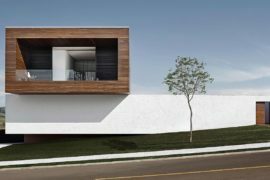 It helps architects shape those stunning skyscrapers without any hassle and can morph into a wide range of forms with ease. 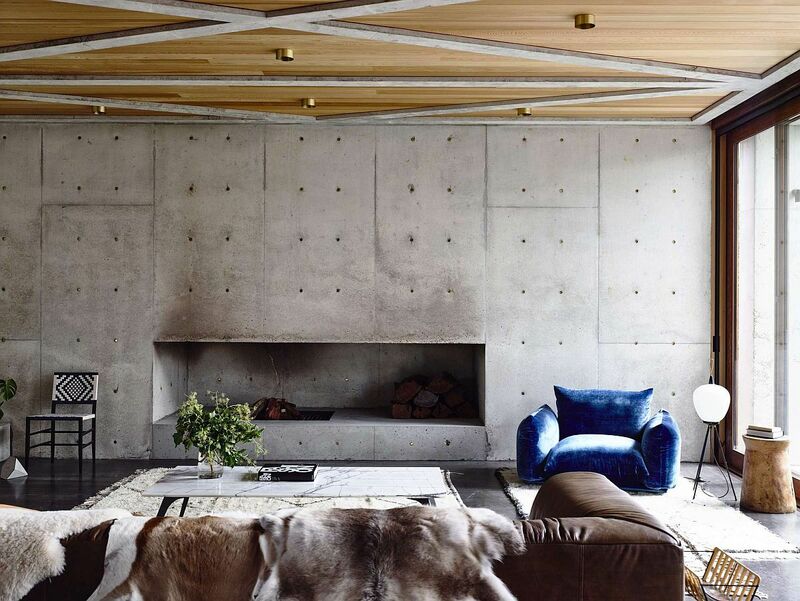 But there are occasions when homes celebrate the raw, unadulterated and untamed beauty of concrete with all its niggles and flaws. 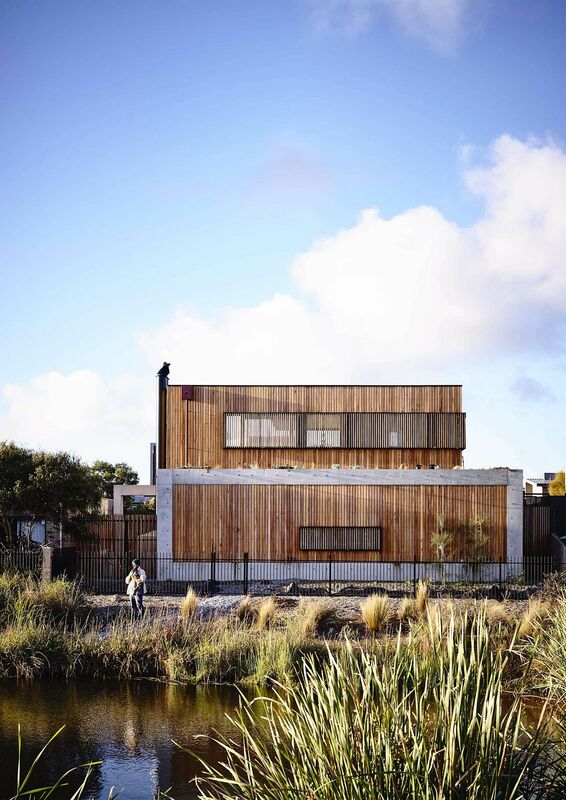 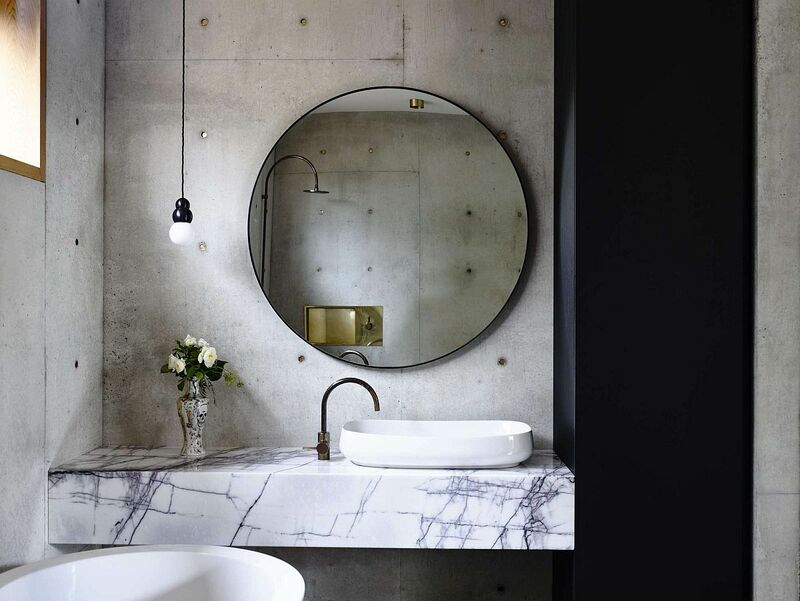 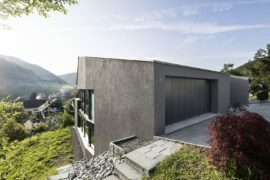 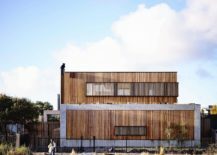 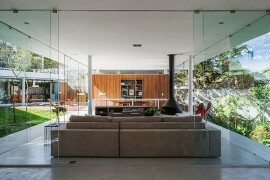 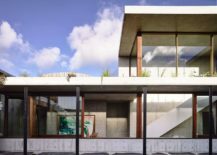 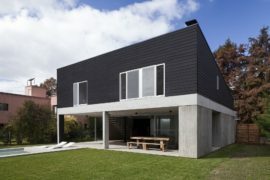 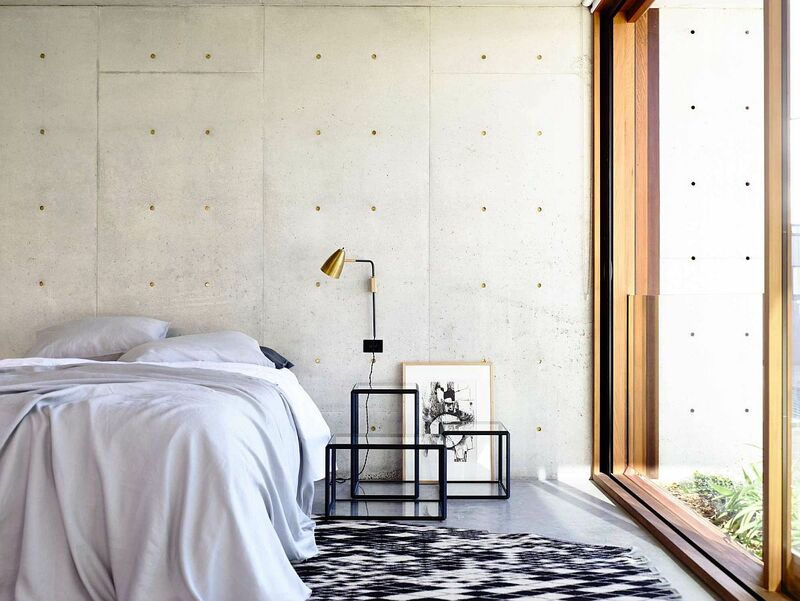 The Torquay Concrete House in the small seaside town of Torquay is one such contemporary masterpiece. 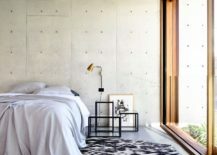 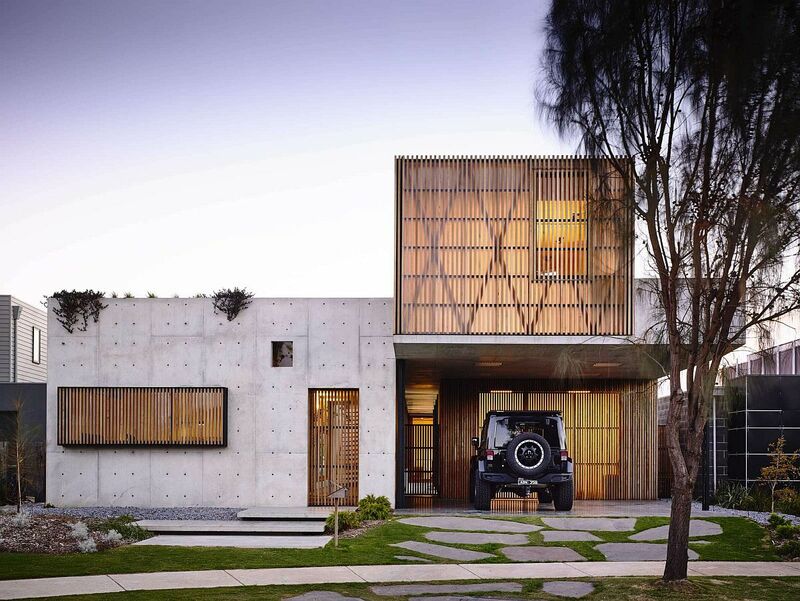 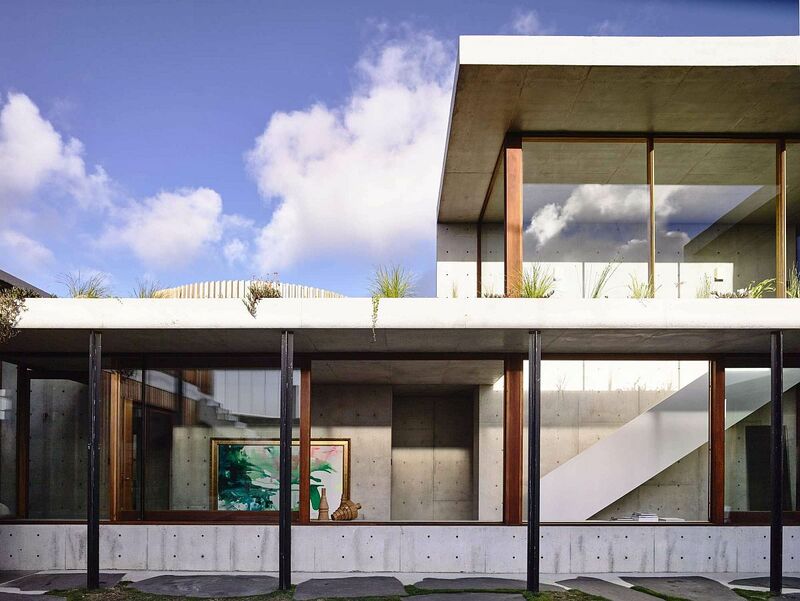 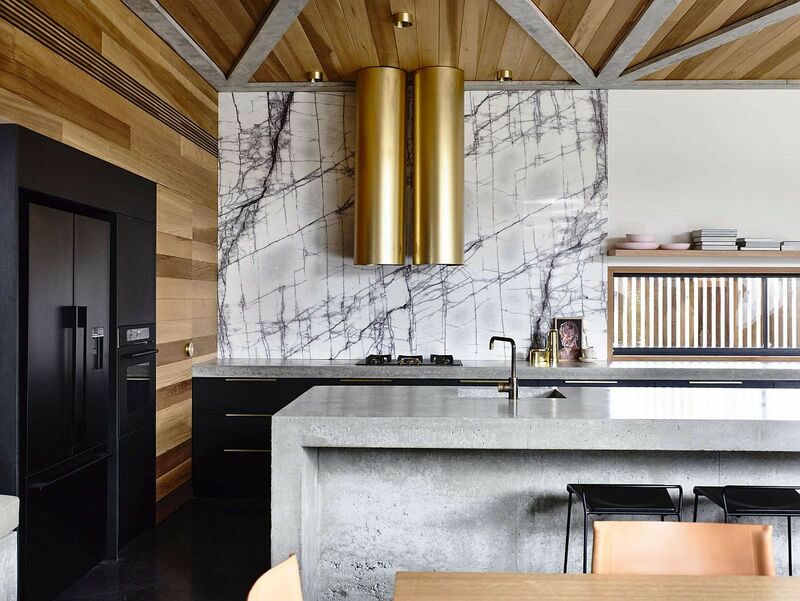 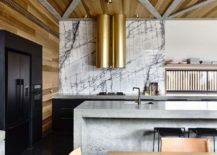 Sitting next to a wetland and a golf course, the exterior of this home designed by Auhaus Architecture is draped in raw concrete and natural hardwood. 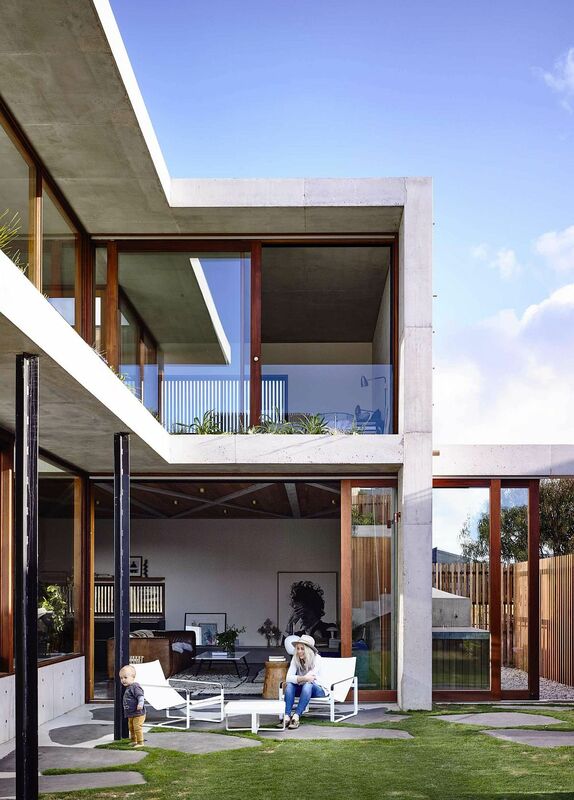 Despite the presence of the large glass windows and sliding walls, it is the concrete structure that holds all your attention. 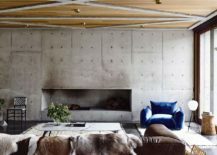 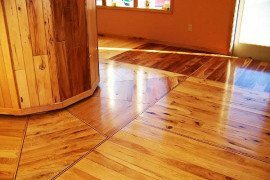 Instead of polishing the rough and imperfect finishes of concrete, the homeowners wanted to leave the little ‘imperfections’ intact. 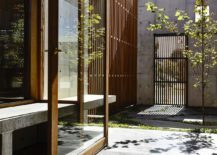 Next to the concrete surfaces is natural hardwood; a surface that brings warmth and elegance to the façade and the interior. 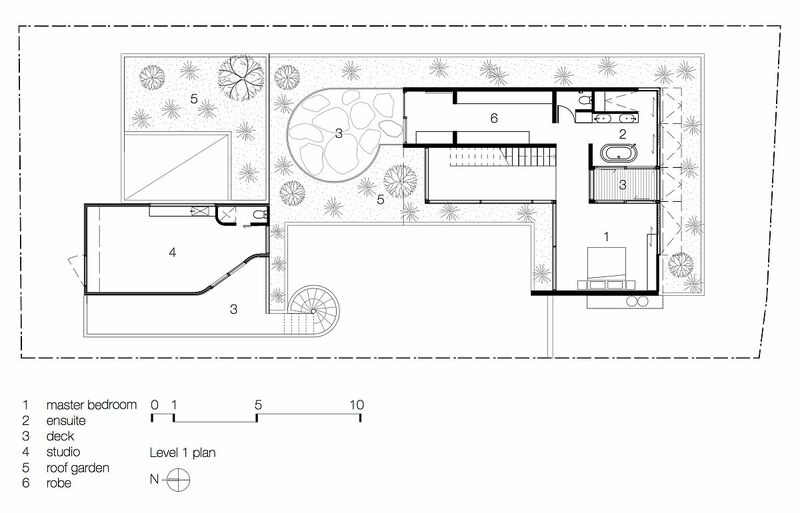 RELATED: Small Russian Apartment Captivates with Cheerful European Flavor! 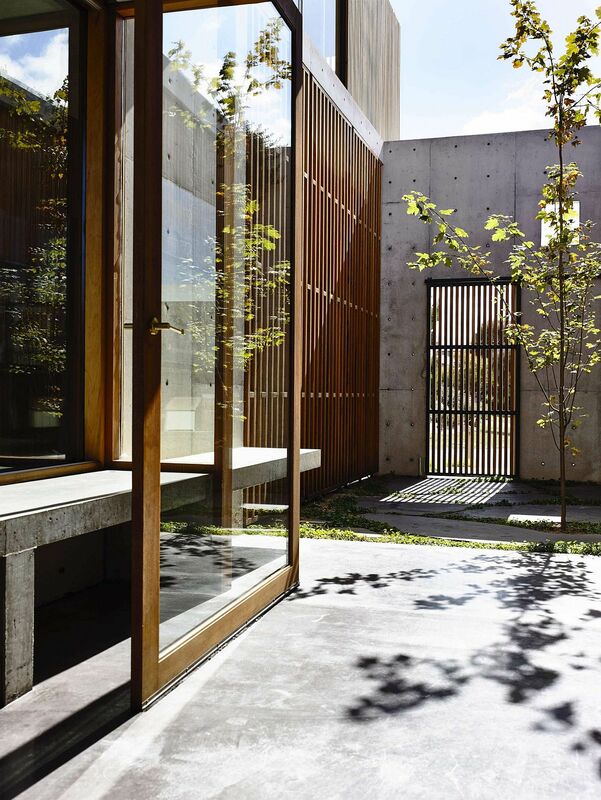 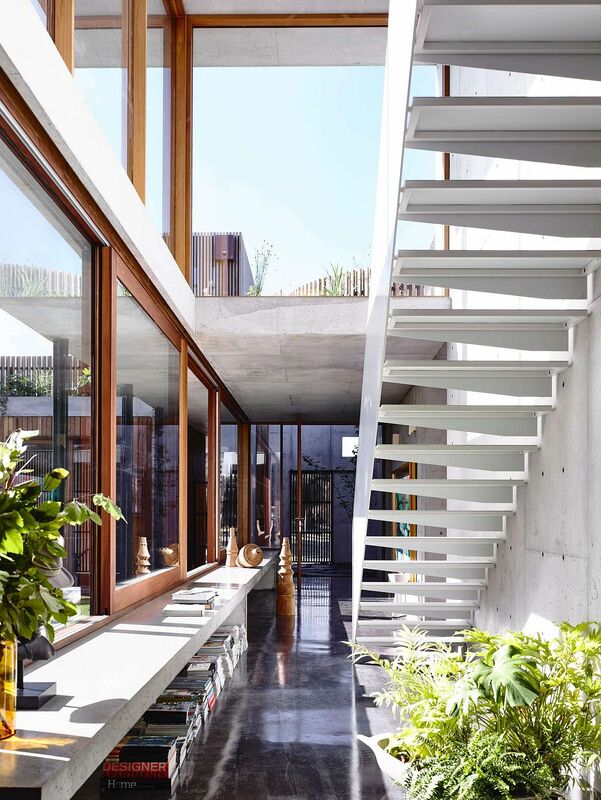 Upon entry, the house opens up into double height gallery, glazed on one side to reveal the plan which wraps around a large central courtyard. 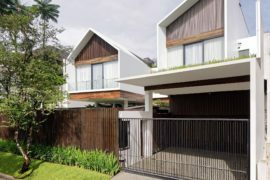 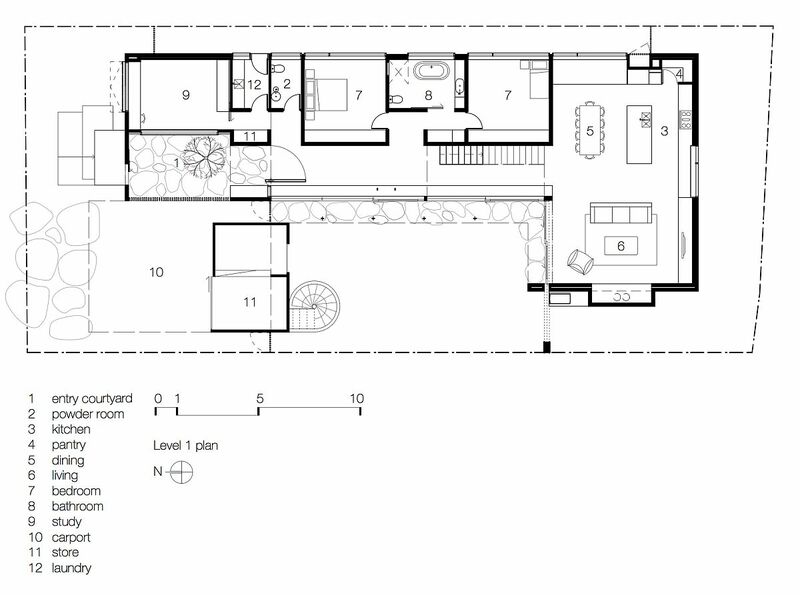 The over-scaled circulation spine anchors the plan, linking darker, more intimate bedroom spaces on one side with open living encircling the central courtyard, and loft-style master bedroom above.